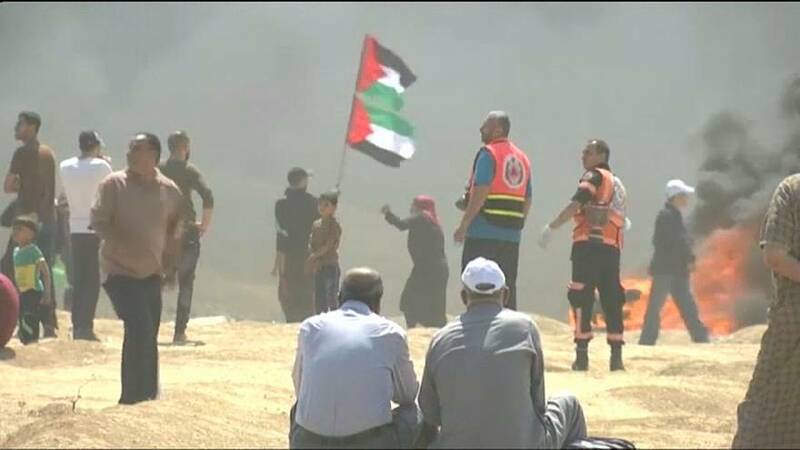 Israeli troops killed at least 16 Palestinians along the Gaza border on Monday (May 14), Palestinian health officials said, as demonstrators streamed to the frontier on the day the United States prepared to open its embassy in Jerusalem. Protests intensified on the 70th anniversary of Israel's founding, with loudspeakers on Gaza mosques urging Palestinians to join a "Great March of Return". Black smoke from tyres burned by demonstrators rose into the air at the border. Monday's casualties raise the death toll to at least 61 since the recent string of protests began on March 30. No Israeli casualties have been reported.